People everywhere have started to make themselves aware of one of the newest threats on the internet. If you have a personal computer and any members of your family are on the internet, it is something that you will want to be familiar with, too. 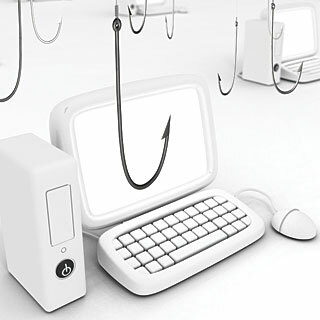 The new practice is called phishing but is pronounced fishing. That comparison is also appropriate to make regarding the practice. Basically, what a hacker will do if he is phishing on your computer is he will somehow break into your computer’s console to have the ability to takes snapshots of your activity. This means that if your computer has been phished, they will be able to take and save snapshots of purchases you make, mortgages you are applying for, different types of auto loans and title loans. Once they have your social security number, checking account number, credit card number or worse, they will then take action. There are a few different ways that these criminals can strike once they have your information. Either they can falsely use your checking account to make large purchases or run your credit card up in the same way. If they are more serious criminals, they might go so far as to steal your identity completely. If they do this, they might take out mortgages, auto loans or title loans out in your name and not pay on them. The worst part about this experience would be the fact that when you finally do find out what’s happened, it’s often too late. Once credit history has been damaged, it is very difficult to repair. However, now that you are an informed consumer, you can avoid certain situations that can open your computer up to unwanted phishing. For instance, never open emails that are from an unknown recipient. If by accident you do open one of the dreaded emails up, make sure you never click on any links, no matter how interesting they might sound. It is important to remember that often, these emails could come from companies you trust or other emails that have been phished already. Just remember that if you cousin starts sending you links about the Acai Berry Diet, it is probably not reputable. Other hackers might use credible names like federal financial institution or your bank name. You should also make sure your entire family knows not to click on ads when surfing the web, no matter how interesting they are made to sound. Another phishing tactic is asking you to change your account or login information. Remember that most banks and other credible institutions will never send you an email asking you to do this. Therefore, if you get a request that seems a little suspicious, your best bet is to call first to find out whether or not the request is credible. If it’s not, your bank or financial institution might ask you to forward them the email so that they are able to press charges on the creator. Chances are, if the institution deals at all with mortgages, auto loans or title loans, they’ve seen this threat before. No matter what, make sure you surf safely on the internet at all times. The identity you save may be your own. ‹ What is a Trojan Virus?